Award-winning novelist Dame Fiona Kidman published her tenth novel in New Zealand in 2016. 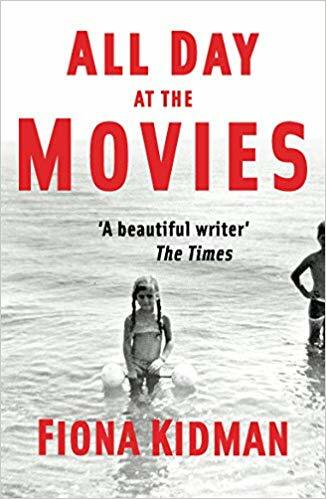 All Day at the Movies took the New Zealand Heritage Prize for Fiction in 2016 and is now published in the UK in a new imprint for Gallic Books. Set in New Zealand, the novel begins in 1952, as war widow Irene Sandle arrives in Motueka with her daughter Jessie to start work on a tobacco farm. It’s a long way from her former life as a librarian but living at home with her parents and invalid brother had become intolerable. Irene yearns for space, and for time alone with her daughter. She lives in books and has dreams of becoming a writer herself, but the harsh realities of her new life soon turn those dreams upside down. Jock Pawson, the farm overseer, notices Irene immediately, but she has no interest in him. Instead she is drawn to the kind foreigner, Bert Butcher, a deserter claiming to be “a Maori fella”. When Bert is killed in a fire on the farm, Irene, newly pregnant, is forced to reconsider Jock’s overtures and consents to marry him. This decision is the seed from which the rest of the novel grows. The book focuses on the lives of Irene’s children: Jessie, Belinda, Grant and Janice, their life stories unfolding in episodes which show how they have been touched (and tainted) by the choices their mother made. Kidman is mistress of the multi-generational story, unwinding the different threads with ease, navigating the domestic and political landscape of life in New Zealand from the nineteen-fifties to the present day. I particularly enjoyed the way the author has crafted her writing to reflect the movie motif. For Irene, starting her new life, “everything about Motueka was awash with glowing light.” It’s not only a cinematic image, but it’s a cinematic image which particularly conjures a fifties movie. The reader feels Irene’s excitement, her albeit temporary Technicolor view of the world. “‘All families are tragedies, aren’t they?’ Grant said. In its exploration of family dynamics, All Day at the Movies reminded me a little of Jonathan Franzen’s, The Corrections, but the setting and social climate of New Zealand lends this novel a fresh and captivating character which feels wholly unique. I look forward to reading more of Kidman’s work.